President Ilham Aliyev has signed an order on holding popular vote (referendum) to make amendments to the Constitution of Azerbaijan Republic. According to the order, the draft Referendum Act on “Making Changes to the Constitution of Azerbaijan Republic” will be put to popular vote (referendum) and will be published in the media (the draft is attached). The popular vote (referendum) is scheduled for September 26, 2016. Central Election Commission is to ensure that the popular vote (referendum) is held on the specified date. The Cabinet of Ministers is to carry out the necessary measures related to financing the popular vote (referendum). 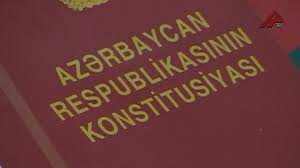 Recall that on July 18, Azerbaijan’s President submitted the draft Referendum Act on “Making Changes to the Constitution of Azerbaijan Republic” to the Constitutional Court for feedback. On July 25, 2015, the Constitutional Court gave its approval to holding referendum.